NEW! 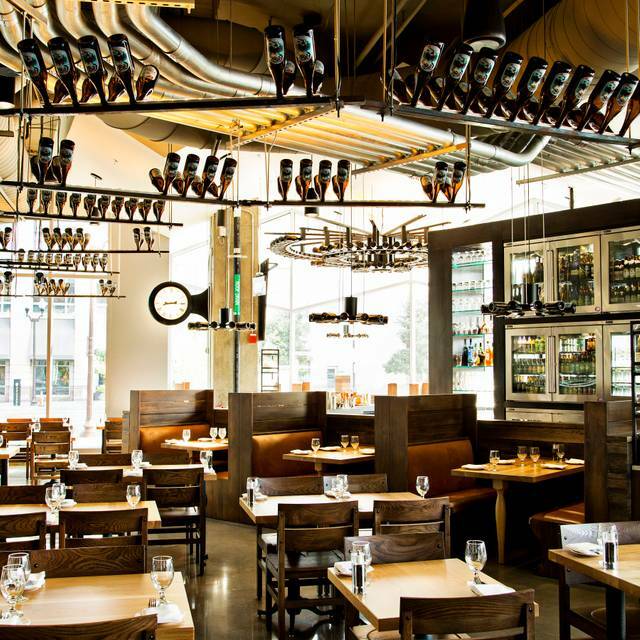 Now Mussel Bar & Grille Arlington is offering gift cards which can be redeemed at any of RW Restaurant Group location. If you have any questions please contact us at 703 841 BEER. MUSSEL BAR AND GRILL offers dining capacity for up to 30 guests. Whether it is dining with a group of friends or celebrating an occasion, our menu is prepared and served as sharing style for your party to enjoy. Large parties are welcome for, Lunch, Brunch, Dinner and Happy Hour. 1 703 841 BEER. 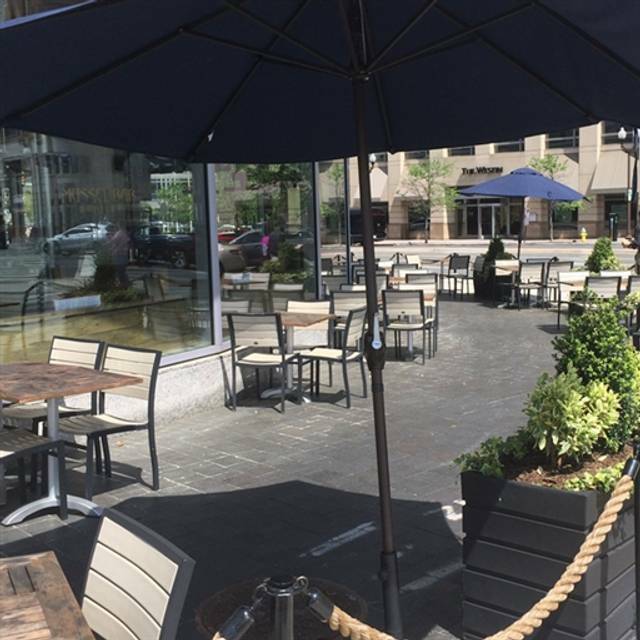 Here at Mussel Bar & Grille, sustainability meets affordability. 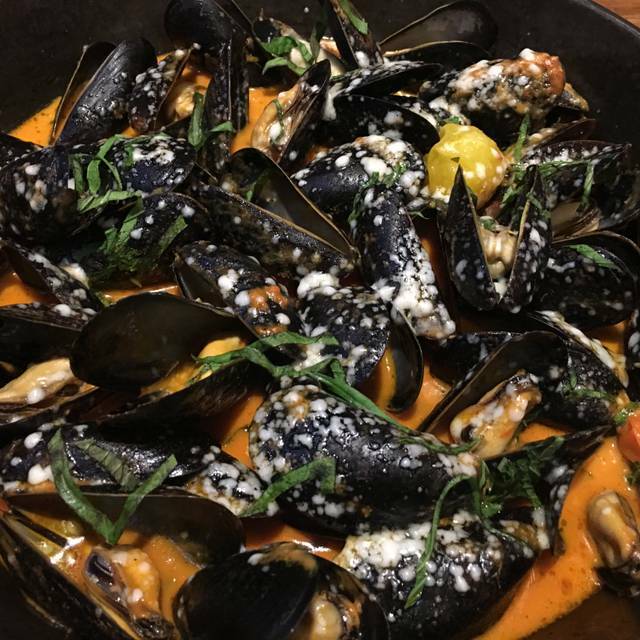 We serve the freshest fish and seafood from around the region and the world, including the best mussels in the region — and the beauty is you don’t have to make it an occasion to dine with us! 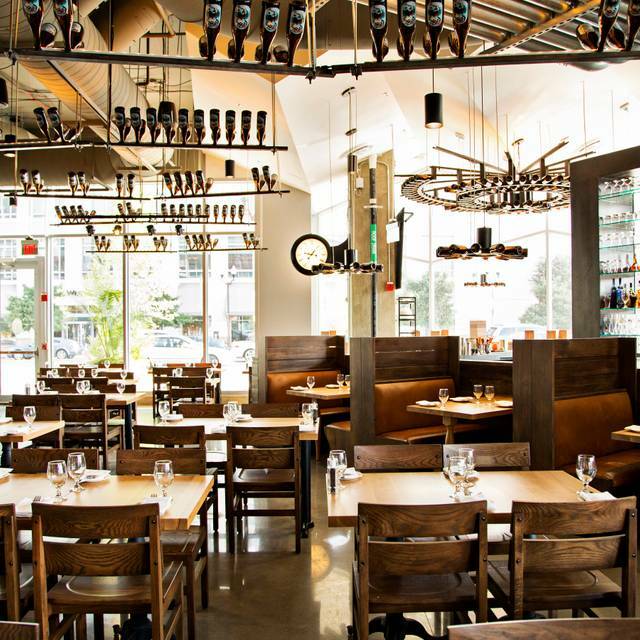 Because our volume is so high, and because of the buying power that comes when a prominent chef owns multiple, acclaimed restaurants, we’re able to keep our prices low — making Mussel Bar Arlington a destination where you can go gourmet every day. Join us daily for happy hour, oysters, great specials, and our selection of — count ’ em — nearly 160 beers (including the finest Belgians in the world). Check out our Facebook page for our wildly popular Oyster Fests. we wait for over an hour for our entrees, customers were moderate. Great food, great service! We had mussels and frites and they were awesome. The server has very polite. 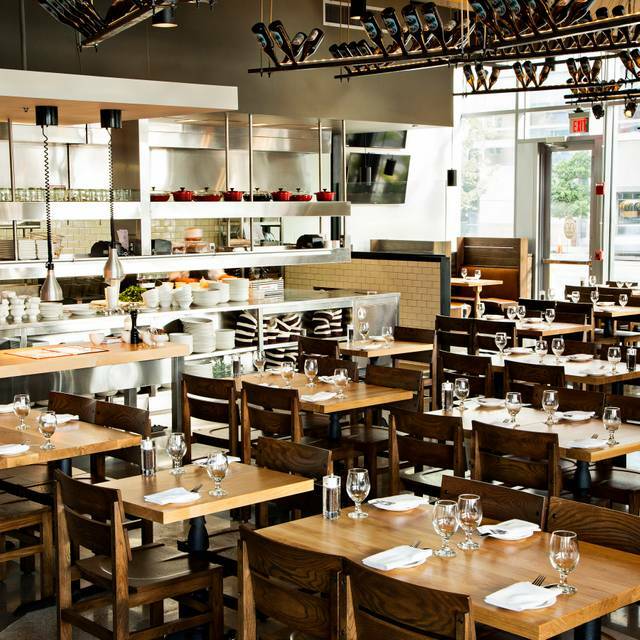 The restaurant itself is one of many in Arlington that sets out to appeal to the younger (happy hour) crowd. When we visited it was empty on a Saturday morning, and stayed that way until after lunch time. The service (Cody) is fine, and there is no problem there, and the mussels are fine, but I would prefer them in something other than the large pan in which they came. Other customers may like restaurants that are all glass and pipes, but if I'm having seafood of any kind I would much rather have lots of wood and a fresh fish market in the building or close by. Slightly revised menu -- some better, some not. I go for the mussels which were frresh and tasty. A new addition - snap peas, as a shared plate - was surprisingly delicious. $26 for a single soft shell crab. WTF? The mussels were excellent. My wife and I were full by the time we ate the appetizers. Definitely going back. Loved the food and the wine selection. My husband couldn’t find a beer that could be available but they gave him one on the house. Oysters were amazing and walking distance from the hotel. Extremely loud. Crazy music. Too loud to ever come back. Great food. Noisy, and service spotty. Will go again and again. The food was delicious, but my father was very sick for two days after. I've been a patron on Mussel Bar since it opened. My visit in April 2019 was a huge disappointment. The service, food and value all fell. The Happy Hour menu used to be great, it was pretty much done away with. The happy hour wine selections are undrinkable and service staff to not understand their own menu. The prices are off when comparing the bar and restaurant menu. After many years, I won't be back. Overall need to work on brunch menu, and service. Always been for dinner, first time brunch, need to improve overall. 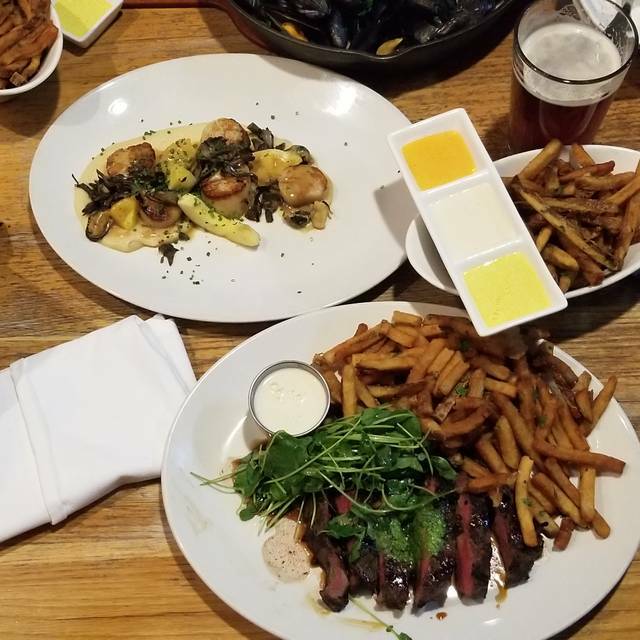 We are big fans of the food at the mussel bar, and love the beer selection. However, to say this restaurant is inconsistent would be an understatement, and this past experience left us concerned as to whether we should get our jones for mussels satisfied elsewhere. The mussels tasted fine, but they tasted like mussels and the great flavors Of the white wine and garlic and other broths in which they were supposed to have been cooked were missing. 4 of us had but a thin layer of sauce in which to dip the mussels, and one serving had to be sent back because of a complete lack of the white wine broth it was supposed to be cooked in. Make a better effort mussel bar, at least from our perspective you are on notice. The new menu was a surprise to those of us who frequent the Arlington location. Some of our favorite starters and sides, such as brussel sprouts, cauliflower, sunchoke soup, and Tempura shrimp, were missing from the menu and was a disappointment. However, a couple of our favorite entrées were available to satisfy us. The new preparation of the short rib with the egg pasta was very good, but the previous preparation with just root vegetables was better when one wanted to partake of the great baguette bread served with meals. The steak and frites continues to be a wonderful entrée for our group who prefer less well-done piece of beef. The butter cake dessert and strawberry tart dessert were a big hit at the table. As always, Chef David provides sumptuous food with exquisite preparation and presentation. Benji provided great service. And, Jeremy is always helpful and truly interested in feedback. 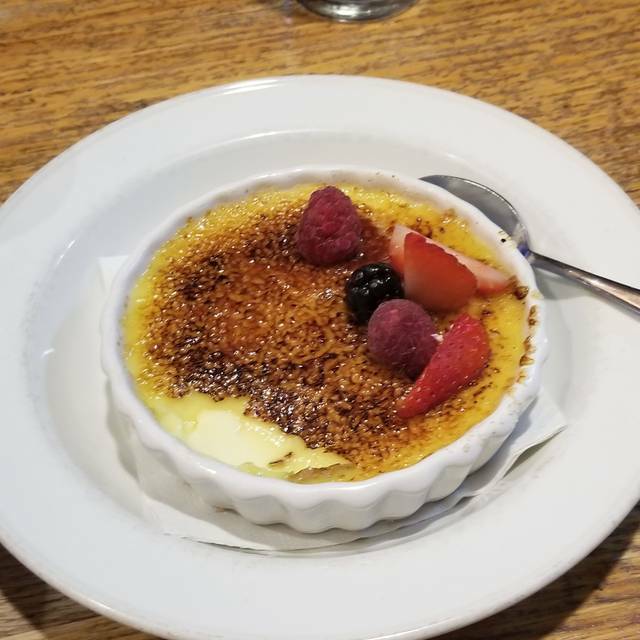 Mussel Bar & Grille - Arlington is one of our top dining choices! Overall Mussel Bar was good. Very loud and hard to hear others at the table. Our server was very nice, the meal was served promptly and we didn't feel like we were rushed. Kind of on the expensive side though. First HORRIBLE experience at Mussel bar after a hiatus of about 6 months from the last bad experience. Mid-meal they changed the wine menu in the computers and we were overcharged by $11. Had this been the only issue, I would have overlooked the snafu, but in the order of the evening: First glass of wine served was old and turned. Asked for a replacement and was served the EXACT same glass and wine a second time, as if I wouldn't be able to tell. Completely unprofessional. (Was also charged for the first and second bad glasses of wine, which were taken off when I had to point it out.) Ordered French onion soup and asked to exclude the fried onions and croutons due to gluten sensitivity, and both came out incorrectly. My girlfriend and I both ordered Steak Frites. For some reason, the waiter wouldn't sub fries out and had to have him ask a manager to get approval. My steak came overcooked (ordered Rare, received Medium well) my gf's was undercooked and neither had the sauce or any seasoning. 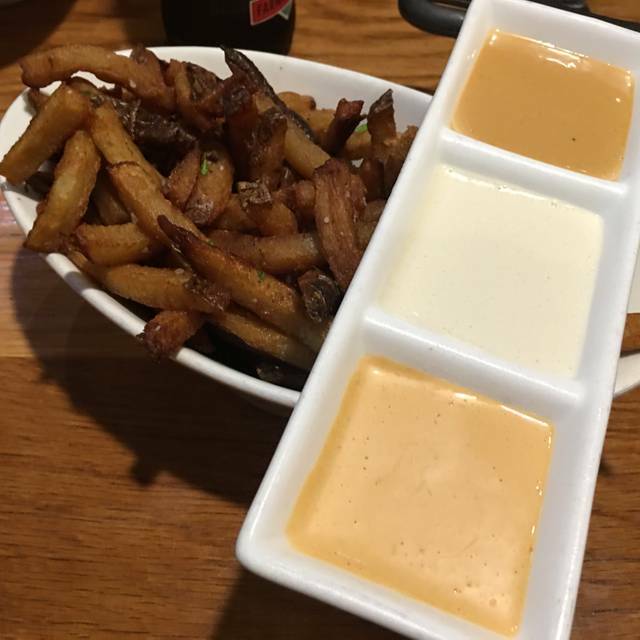 Her fries were cold and overall the server was flippant and seemed annoyed we had any complaints at all. Manager came at end of meal to see how things went and took care of the wine problems, but overall, poor experience after a previously poor experience. Would only come back for happy hour, if that. I have a lot of food allergies but felt so welcomed and supported by the staff who made sure nothing was in my food that would make me sick. Will definitely be returning to the Mussel bar! This has been a go-to place for me for the mussels and beer selection. Unfortunately, this time the service was slow (but the waiter was super friendly so that made up for the slow delivery of food and drinks). Also, the quality of the food was below my expectations from prior visits. Many of my mussels didn't open and my fries were mostly small greasy bottom of the fryer pieces. Not good. I am willing to give a pass on this visit hoping they return to form on my next visit. Otherwise, I will go elsewhere. The $24 mussels were tough and a small portion. The $28 steak was tiny and overwhelmed by the mountain of frites. We regularly eat Belgian and French food and have lived in both countries. This was not a fair representation and way overpriced. Had a great time, they always do a nice job of placing us in a quieter area due to hearing g impaired person in our group and with a nice window view. We really appreciate how helpful they are with this, great job! Thank you. This is our second time and plan to be back again soon! Food was great. Excellent calamari, cauliflower, mussels. Just a little pricey. The food was mediocre at best, while the service was poor and inattentive. We were there for lunch, the restaurant wasn't busy but the kitchen and staff were slow and otherwise engaged with things other than their guests. The short rib entrée was exceptional!! Our first two wine choices were not available, but the menus indicated they were available, yet nothing was said by the waitress that some wine by the glass may not be available. This is the second time in our last two visits that we've encountered issues with the wine menus, i.e. what is on the menu versus what is actually is available for sale. Looking for a great happy hour option? Highly recommend Mussel Bar! They have great cocktails, draft beers, and food perfect for any occasion! Went for special Birthday dinner, a Saturday at 5:30pm, had made reservation but restaurant was not crowded. The waiter was excellent, very knowledgeable on beer and wine selections. Also gave good advise about food choices. Mussels with Sweet Potatoes Frites were excellent. Pork chop, lamb chop and scallop entres also very good. Will definitely be back again. I come here a lot. Unfortunately this was my worst experience and it’s why I am giving it a low rating. The waiter did not know what he was doing. He had to ask questions to other people for everything we asked about. The drink orders were wrong. The beers were flat and tasted funky because they were apparently switching out lines in the middle of our dinner. We had to send all of our beers back. Then I thought my dinner of green curry mussels would be perfect as always and this time they had so much sand and grit in them I chewed into most of the mussels and spit them out due to the sand. I was not very happy with this experience and may very well affect my going back there ever again. So glad to have found this inviting neighborhood gem. First, the service was outstanding. Dennis could not have been more friendly, efficient and accommodating. The food was quite good and included a greater array of options than the name of the restaurant might suggest. 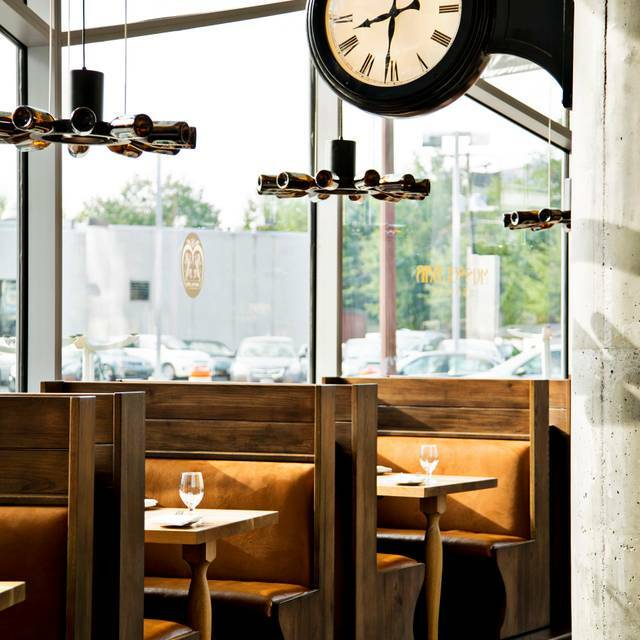 Nice ambiance -- lots of booths and interesting lighting, with open kitchen and bar. At first, seemed festively loud, but once seated in our booth, the noise level was not obtrusive. Not inexpensive, but not bad for a high quality local restaurant option. We will be back! We had a lovely, quiet lunch at the Mussel Bar. I had the salmon burger, which was delicious. The salmon portion was quite large and the bun was a brioche type. My friend ordered the Thai Mussels and found them tasty too. Good service and they validate parking too! Valentine's Day dinner, my wife and I enjoyed our date. The food was delicious. One more scallop and one more lamb chop would've matched the costs for the entrees. Benji was a good server. The host/hostess were very gracious. Parking validation is also a big plus. We will date there again. Went here for Valentine's Day. Service was a little slow due to it being crowded, but food was excellent and ambiance was good. Nice place for any occasion. This is one of my favorite restaurants in the area. I have been here a couple dozen times and will continue to return. Food is very good and consistent. Usually the service is outstanding, but on Valentines it was a bit hurried . I would like to see them offer more gluten/dairy free options especially in the desert menu (there are none other than sorbet). Chef David really outdid himself with the Valentine's Day Pre Fixe Dinner Menu! The Scallop Crudo was wonderful with sweetness of the scallops brought out by the acidity of the citrus (lime) bits coupled with the slight bitterness of the sesame toast. The Lamb Rack entrée was prepared precisely as ordered, and the lamb marmalade really made the dish "explode" with flavor. The Chocolate Terrine was a spectacular finish to the meal, so much so that we ordered a second pieces to share. As always, Cody provide 5-star service for us!! My only complaint was that the wine menu specify vintage dates, which were not in stock for either of the two wines for which I inquired. If the specified wine cannot be kept in stock, then the menu shouldn't specify a vintage. This would prevent patron disappointment. The wine I ultimately chose was very good, but I know that the year earlier vintage was better, so I had to "settle." I took my girlfriend there for a valentines brunch and we had a wonderful time. The food was delicious and the staff courteous and friendly.